The ministry no longer links air pollution to child cancer rates, but does link them to cancer in adults. The Health Ministry has taken back some of its earlier claims regarding the heightened cancer risk to Haifa residents. Representatives from the Health and Environmental Protection ministries, as well as hospital officials and doctors who specialize in pediatrics and oncology, convened an emergency meeting after midnight between Monday and Tuesday, and received statistics from the National Cancer Registry. The data showed no evidence of higher-than-average cancer rates among children in the Haifa Bay area, but they did show evidence of higher-than-average cancer rates among adults in the area. This contradicts the statistics made public by Health Minister Director, Prof. Itamar Grotto, last week. Grotto, the Director of the Public Health Services in the Israeli Ministry of Health, recently cited a 2013 article published in the American Journal of Cancer Epidemiology and Prevention, which examined prevalence of cancer in the Haifa area from 1998 through 2007, and said that of the 60 cancer cases that occurred in children from ages 0 to 14, about 30 were probably linked to air pollution, he wrote. For years, Haifa Mayor Yona Yahav has denied that Haifa is dangerous to its inhabitants, and has cited studies showing that pollution levels are rapidly decreasing. The statistics regarding child mortality caused an onslaught by worried and angry residents against Yahav, and he immediately took drastic steps in the matter, sending garbage trucks to block the entrances to polluting plants. He hinted that he now may allow the plants to reopen. 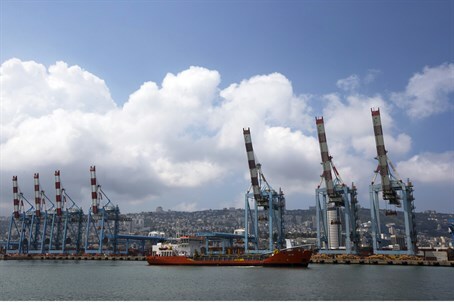 Yahav was upbeat Tuesday morning and said that there has been a 70% decrease in air pollution in Haifa in recent years. “I promise that Haifa will be Switzerland,” he told Army Radio. He accused the government ministries of sowing panic in the general populace.